Home Directory Kevin P. Spicer, C.S.C. Rev. 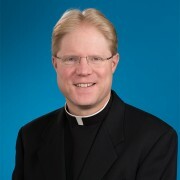 Kevin P. Spicer, C.S.C. Kevin P. Spicer, C.S.C., is the James J. Kenneally Distinguished Professor of History at Stonehill College. Father Kevin’s research centers on the relationship between the Roman Catholic Church and the German state under National Socialism. Currently, he is working on a study on the relationship of Jews and Catholics in Germany from 1918 to 1945.